Romantic comedy from Hal Hartley in his directorial debut. 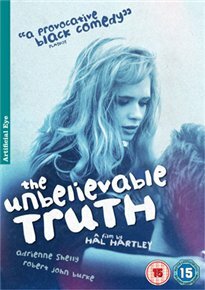 Audry (Adrienne Shelly) is a Long Island teenager beset with worries – college, parents, nuclear war – and frustrated by small-town life. When mysterious Josh (Robert Burke) arrives and goes to work as a mechanic for Audry’s father, she feels overwhelmingly attracted to him, despite town rumours that he’s a murderer.